Wishful Drinking ends with a 2:00pm matinee today. Check out HotTixs for half price tickets ($33.75) for select seating. 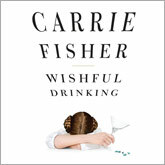 WISHFUL DRINKING, Carrie Fisher’s autobiographical solo show, follows Fisher's life. Born to celebrity parents, Fisher lands among the stars when she’s picked to play a princess in a little movie called ‘Star Wars.’ But her story isn’t all sweetness and light sabers. As a single mom, she also battles addiction, depression, mental institutions, and that awful hyperspace hairdo. It’s an incredible tale–from having her father leave her mother for Elizabeth Taylor to marrying and divorcing singer/songwriter Paul Simon, from having the father of her baby leave her for a man to waking up one morning and finding a friend dead beside her in bed. Don’t miss this opportunity to see Carrie Fisher’s hit Broadway show. Ticket prices are $25 to $65. Suggested donation/More if you've got it/Free if you're broke tix available at the door. Chicago Shakespeare Theater (CST) announced the extension of its celebrated 25th Anniversary Season opening production of Stephen Sondheim and James Goldman's Follies, directed by CST Associate Artistic Director Gary Griffin, now playing through November 13, 2011, in CST's Courtyard Theater. 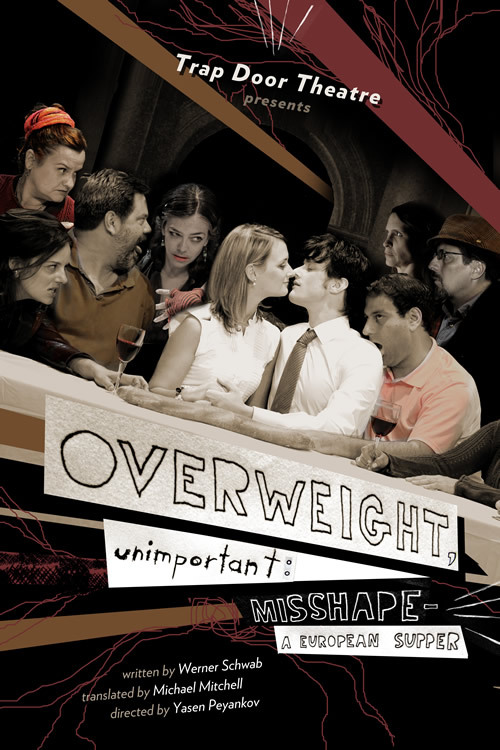 The production features a company of more than 40 actors and musicians that includes Olivier Award nominees Brent Barrett as Benjamin Stone and Caroline O'Connor as Phyllis Rogers Stone, with Robert Petkoff as Buddy Plummer, Susan Moniz as Sally Durant Plummer and Chicago musical theater favorite Hollis Resnik as Carlotta Campion. Tickets for Chicago Shakespeare's limited engagement of Follies are $55—$75 with special discounts available for groups of 10 or more. 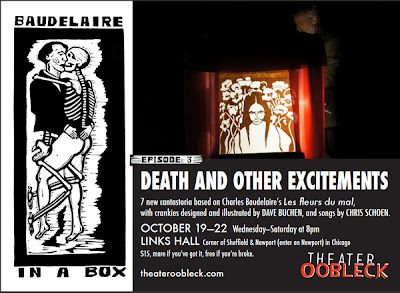 Performances during the extension week will be as follows: Tuesday, Nov. 8 at 7:30 p.m.; Wednesday, Nov. 9 at 7:30 p.m.; Thursday, Nov. 10 at 7:30 p.m.; Friday, Nov. 11 at 7:30 p.m.; Saturday, Nov. 12 at 3:00 p.m. and 8:00 p.m.; and Sunday, Nov. 13 at 2:00 p.m. and 6:00 p.m. All patrons receive a 40% discount on guaranteed parking in Navy Pier garages. For more information or to purchase tickets, contact Chicago Shakespeare Theater's Box Office at 312.595.5600 or visit the Theater's website at www.chicagoshakes.com/follies. CST Associate Artistic Director Gary Griffin is a prolific director of acclaimed productions, including the Tony Award-nominated The Color Purple and The Apple Tree. Griffin's decade-long exploration of the Sondheim canon at Chicago Shakespeare includes his celebrated production of Pacific Overtures which was subsequently mounted at the Donmar Warehouse in London's West End, where it garnered three Laurence Olivier Awards. Additional cast members for Griffin's production of Follies include Chicago Shakespeare veteran actor Mike Nussbaum in the role of Dmitri Weismann, Nancy Voigts as Stella Deems, Marilynn Bogetich as Hattie Walker, Kathy Taylor as Solange LaFitte, Chicago husband and wife duo Dennis Kelly and Ami Silvestre as Theodore and Emily Whitman, Linda Stephens as Heidi Schiller, Adrian Aguilar as Young Ben, Bill Chamberlain as Roscoe, Rachel Cantor as Young Phyllis, L.R. Davidson as Young Sally, David Elliott as Max Deems, Andrew Keltz as Young Buddy, Amanda Kroiss as Young Solange, Christina Myers as Young Stella, Kari Sorenson as Young Heidi, Amanda Tanguay as Young Carlotta, showgirls Jen Donohoo and Jenny Guse, and ensemble members Devin Archer, Julius C. Carter, Rhett Guter, Nate Lewellyn and Tanner Smale. Griffin's creative team for Follies includes Choreographer Alex Sanchez and Musical Director Brad Haak. The production's live 12-person orchestra is conducted by Associate Musical Director Valerie Maze, who also plays piano. The creative team for Follies is rounded out by Scenic Designer Kevin Depinet, Costume Designer Virgil C. Johnson, Lighting Designer Christine Binder, Sound Designers Joshua Horvath and Ray Nardelli, Wig and Makeup Designer Melissa Veal and Properties Master Chelsea Meyers. "Together, this brilliant ensemble manages the impossible." "Dark and perverse is what these artists do best." "A jaw-dropping production...This has got to be one of the most unabashedly vicious things I've ever seen on a stage. I loved it." 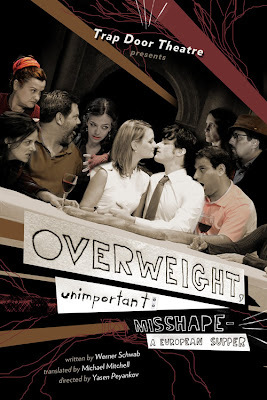 With hilarious chill, Werner Schwab's OVERWEIGHT, unimportant: MISSHAPE plunges into the dark, unknowable depths of human longing. Never before has degradation, perverse loneliness, and mankind's toxic ego been so funny. Steppenwolf ensemble member Yasen Peyankov directs the U.S. premiere.